Islamic Resistance Movement, Hamas, hailed the European Parliament Group’s call for halting partnership, agreements, and economic privileges with Israel. This came in the wake of publishing the abstract of the United Nations enquiry which has proved that Israel targeted and hit the UN headquarters and the UNRWA headquarters including civilians in Gaza. Israel targeted the UN headquarters despite including civilians who took them as shelters for protection from Israeli rockets and bombs in last summer’s Israeli aggression on the besieged enclave. 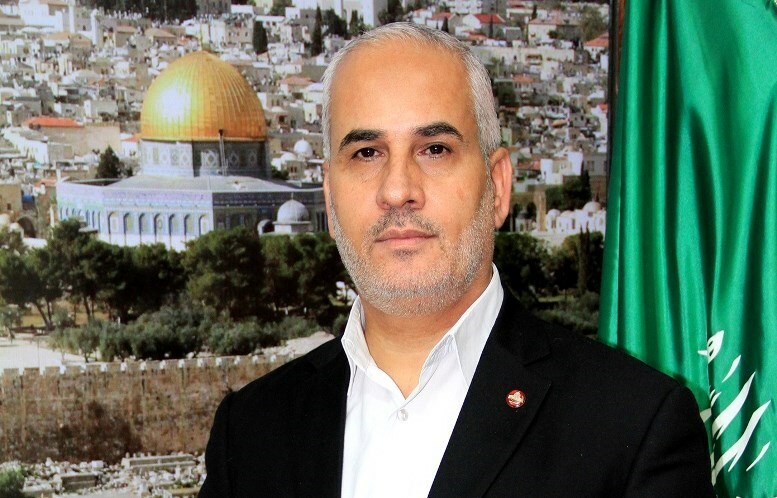 In a statement on Saturday afternoon, Hamas spokesman Fawzi Barhoum called for more of such efforts and decisions by all Arab and international authorities which will constitute a deterrent to the Israeli occupation and offer actual protection for the Palestinian people. Barhoum stressed the need to hasten the procedures of prosecuting Israeli leaders for their crimes and violations before local and international courts. Due to ongoing aggression against Palestinians, the European United Left group of MEPs demanded, on Friday, the abolition of partnership deals with Israel. The demand was made in the wake of the acknowledgement by dozens of Israeli soldiers who took part in the last summer’s Israeli offensive on Gaza that they targeted civilians intentionally; some claimed that they targeted Palestinians “for fun”. In a statement, a spokesperson for the EU group, Angel Vaina, demanded that Europe’s Foreign Policy Chief Federica Mogherini answer several questions regarding Israeli human rights abuses. In addition to witness statements regarding the actions of Israeli soldiers, he noted that there is a United Nations report which proves that Israel killed 44 civilians and wounded 227 others in UN shelters, during the 2014 Israeli war against Palestinian civilians. He pointed out that Israel signed an agreement, in 2000, which guarantees human rights, but that the state violates it repetitively. As an example, he cited Israeli violations in respect of 26 foreign activists on 3 May, when police cracked down on a peaceful demonstration in Tel Aviv against institutional violence and racial discrimination targeting Ethiopian Jews. Palestinian Prime Minister Rami al-Hamdallah’s statements on civil workers’ crisis show that his government is still using factionalism, Hamas Spokesman Sami Abu Zuhri said on Saturday. In a brief statement on Saturday Abu Zuhri said Hamdallah’s statements on partitioning the employees and offering a partial resolution to the civil workers’ issue affirms that the unity government is still using factionalism, discrimination and refuses the recognition of the current employees. “Hamas is not going to abandon any of the employees and will not return any of the objector workers back to work unless the workers’ issue is totally resolved,” Hamas spokesman said. A video on Facebook of young men torturing a stray dog in the West Bank city of Bethlehem has sparked a debate across the occupied territory, with calls for authorities to find a humane solution to the hundreds of stray dogs roaming the West Bank. The dogs, which travel in packs through the night, are known to be dangerous, but up until now, officials have failed to find an effective solution to the problem. Ministry of Health official Asaad Ramlawi said that 840 people were bitten by stray dogs in the West Bank in 2014, noting that the antibodies are very costly. They have also been known to attack and kill Palestinian livestock, and in February, local farmers in Salfit told Ma'an that a pack of stray dogs had killed 33 sheep on a single farm. Palestinian police spokesman Luay Irzeiqat said that police departments across the West Bank constantly receive complaints about stray dogs attacking children and elderly people, as well as attacking livestock and damaging crops. He said that police coordinate with municipal councils to try and fight the phenomenon, but that this was mostly restricted to poisoning the animals. In some cities, local residents have been known to get rid of stray animals by poisoning them, and there have also been reports of police officers shooting at them. However, Irzeiqat noted that police also often receive complaints about people attacking the dogs. Diana Baabeesh, who chairs an animal rights group in Bethlehem, said that the only solution is to create an animal shelter for stray dogs in which they could be neutered and spayed. Both the municipal council and the governor's office in Bethlehem have welcomed the suggestion, but said that plans for a shelter had been shelved due to a failure to provide needed land to build the pound. 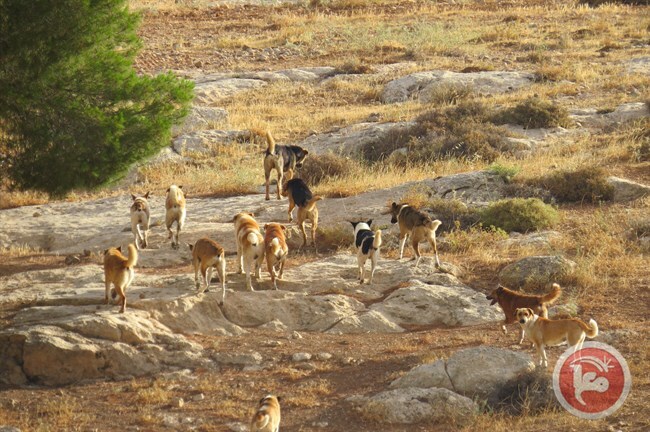 Yousef Musallam, who chairs the Bethlehem municipality's health department, told Ma'an that Bethlehem "is one of the most active West Bank municipalities in fighting stray dogs, but so far the only means we have is poisoning them." "It's the only available method," he added, noting: "In developed countries, they have dog pounds." 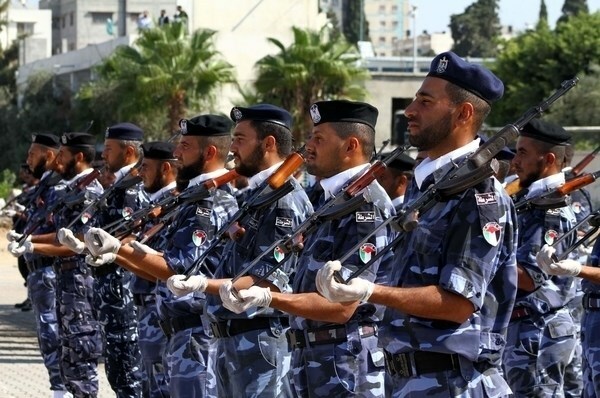 The Palestinian ministry of interior and national security in the Gaza Strip has urged all citizens to report rumor-mongers who aim to undermine internal stability to the police. The ministry also provided, in a brief statement on its Facebook page, a telephone number for calling the police if anyone encountered such people. It noted to the importance of reporting such people and affirmed that some citizens had already cooperated and reported taxi drivers who spread serious rumors threatening the internal security in Gaza. There are fresh concerns over the future of Israeli-Palestinian relations after an Israeli ultranationalist member of the country’s parliament, who is accused of calling for the genocide of Palestinian people, was appointed Israel’s Justice Minister. Ayelet Shaked from the far-right HaBayit HaYehudi (Jewish Home) party was given the position as justice minister as part of a deal that saw PM Netanyahu gather enough support to form a coalition and control the Israeli parliament, the Knesset. The decision has already stirred controversy within Israel, particularly the political Left, with Labour member of the Knesset (MK) Nachman Shai condemning the move. 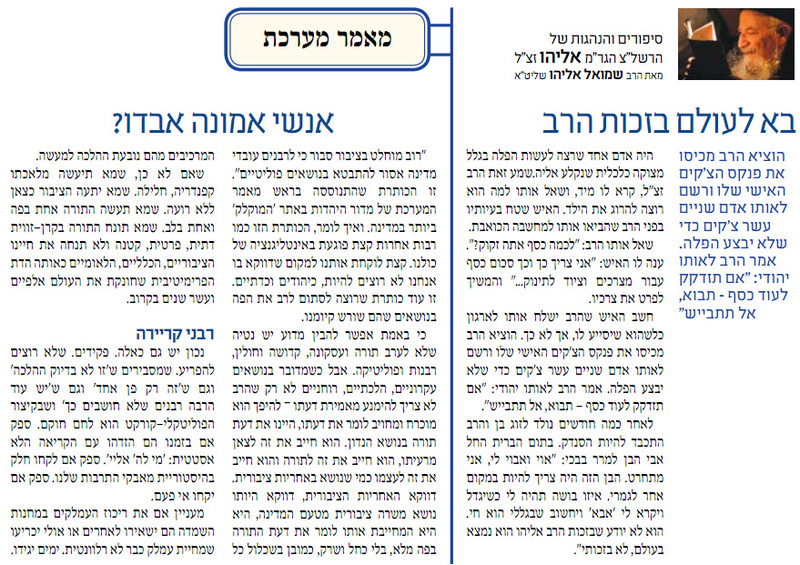 "The demand to give Ayelet Shaked the Justice portfolio is like giving the Fire and Rescue Services to a pyromaniac." Other political figures and pro-Palestinians activist groups have also criticized the move, which many have suggested will have a significantly negative impact on the already tense and strained relationship between Israel and the Palestinian people. Known for her outspoken and ultra-nationalistic views, Shaked attracted global attention and criticism in July 2014, when she posted a Facebook status denouncing Palestinians, during Israel’s 50-day military offensive in Gaza. "The Palestinian people [have] declared war on us, and we must respond with war ... Not an operation, not a slow-moving one, not low-intensity, not controlled escalation, no destruction of terror infrastructure, no targeted killings." "Enough with the oblique references. This is a war. Words have meanings. This is a war. It is not a war against terror, and not a war against extremists, and not even a war against the Palestinian Authority. These too are forms of avoiding reality. This is a war between two peoples. Who is the enemy? The Palestinian people." The post, which was later deleted by Shaked and which was posted one day before a Palestinian teenager was kidnapped and burnt alive by Israeli extremists, was interpreted by many as calling for the genocide of Palestinian people, and inciting hatred between racial groups. In another Facebook post Shaked also claimed that there was no difference between those peoples involved in Palestinian terror organizations, and those within the general population, calling Palestinian children "snakes". "Behind every terrorist stand dozens of men and women, without whom he could not engage in terrorism. Actors in the war are those who incite in mosques, who write the murderous curricula for schools, who give shelter, who provide vehicles, and all those who honor and give them their moral support. "They are all enemy combatants, and their blood shall be on all their heads. Now this also includes the mothers of the martyrs, who send them to hell with flowers and kisses. They should follow their sons, nothing would be more just. They should go, as should the physical homes in which they raised the snakes. Otherwise, more little snakes will be raised there." The comments attracted widespread criticism, with Turkish President Recep Tayyip Erdoğan comparing Shaked to Hitler. "If these words had been said by a Palestinian, the whole world would have denounced it," he said. An extremist group that recently emerged in the Gaza Strip claimed Friday a mortar attack on a base belonging to the Hamas movement in charge of the blockaded territory. The group calling itself Supporters of the Islamic State in Jerusalem said it fired two 82 mm mortar rounds at a base of Hamas's armed wing, the al-Qassam Brigades, in Khan Younis in southern Gaza. A statement posted online also urged "Muslims in Gaza to stay away from the base in order to protect their own lives. "Witnesses told AFP they heard explosions close to Khan Younis. But the spokesman of the interior ministry in Gaza, Iyad al-Bozum, denied any mortar fire.The group's claim is "baseless," he told AFP. A bomb attack this week targeted Hamas's security headquarters in Gaza after extremists issued a threatening message calling for the release of prisoners. Hamas security forces arrested a Salafist leader last month, alleging that he was a supporter of the Islamic State group (IS) that holds vast swathes of territory in Syria and Iraq. 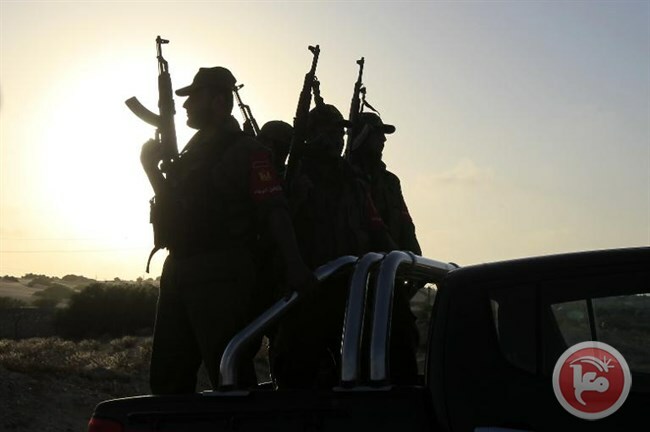 Gazan extremists have pledged allegiance to IS in the past, but there has been no confirmation from the group itself that it has a presence in the coastal enclave. The Palestinian security authorities has frustrated an Israeli plan to cause civil disturbance in the Gaza Strip. 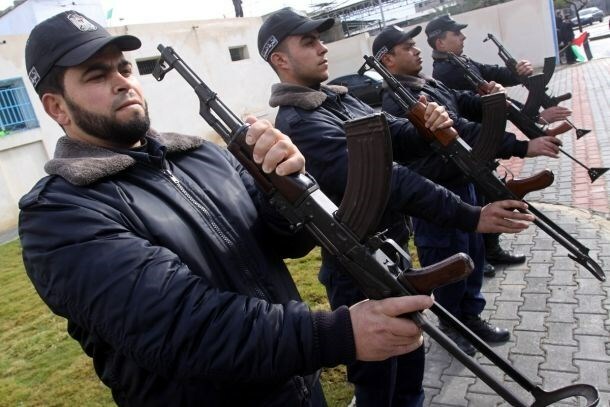 Palestinian sources told al-Araby al-Jadeed newspaper that the Palestinian police in Gaza had discovered an Israeli plot to spread security chaos in the Strip through attempts to incite the public against the Hamas Movement. According to the sources, the police found Facebook and Twitter pages managed professionally by the Shin Bet and its agents to spread rumors and cause unrest in Gaza. The police said it started a security campaign to confront the Israeli plan and were able to arrest some people who were involved in incitement activities against Gaza. 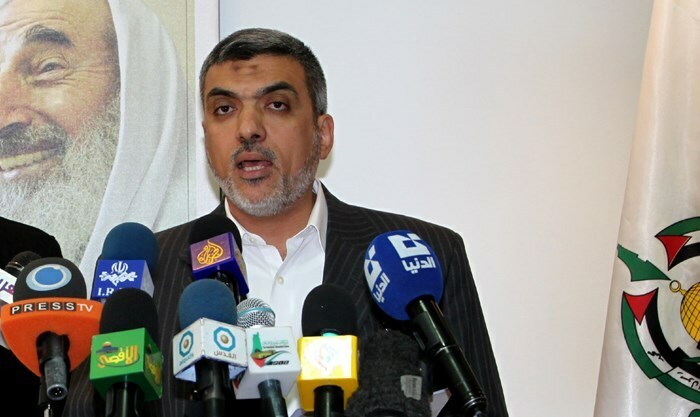 Member of Hamas's political bureau Ezzat al-Resheq has described the new formation of the Israeli government led by Benjamin Netanyahu as a combination of racists and extremists. In Facebook remarks on Thursday, Resheq expressed his belief that the Israeli government would continue its criminal Judaization and settlement activities in the occupied Palestinian territories. He said that the declared composition of the government vindicated further the frivolity of continuing to wager on the negotiation option to reach a peaceful solution with the Israeli occupation state. He added that Netanyahu's government can only be confronted through achieving a genuine Palestinian reconciliation based on the resistance option. The Hamas official stressed that the Palestinian people would remain steadfast in the face of the successive Israeli governments until the liberation of their land and holy sites. Tomorrow morning, Thursday 7th May 2015, Irish multinational CRH will hold their Annual General Meeting in the Royal Marine Hotel, Marine Road, Dun Laoghaire, Co. Dublin. The Ireland-Palestine Solidarity Campaign plan a protest outside the venue. CRH have thus far refused to ditch their toxic Israeli assets which are involved in building the illegal apartheid wall and settlements in Israeli-occupied Palestine. The IPSC is organising this protest because CRH owns 25% of the Israeli company Mashav Initiative and Development Ltd which, in turn, owns Israel's sole cement producer Nesher Cement Enterprises Ltd. Nesher provide up to 90% of all cement sold in Israel, including cement used in the construction of Israel's illegal separation wall in Palestine and illegal settlements and checkpoints. We are calling on CRH to end its shameful investment in Israel and to stop profiting from the occupation of Palestine by divesting from its Israeli interests. Over the past six years the issue of CRH's investment in Israel has been raised in the AGM proceedings by IPSC members who are also shareholders in the company. In 2012 year the IPSC presented a 10,000-signature strong petition to the CRH Board calling for divestment from Israel, and filed a complaint with the OECD. CRH has yet to take action, despite press reports suggesting that they were contemplating ditching their toxic Israeli assets. Come along let them know that you think that would be a good idea, and that CRH must stop profiting from the destruction of Palestine! 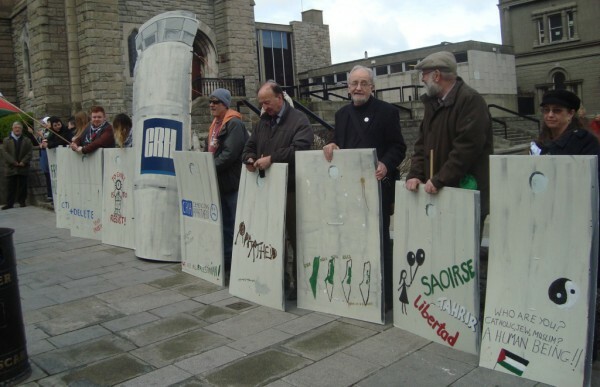 For more about the IPSC's CRH Divestment Campaign here. Chief Palestinian negotiator and PLO member Dr. Saeb Erekat said, in his first official comment on the new Israeli government formed by Netanyahu, said that it was just another one of war and extremism. 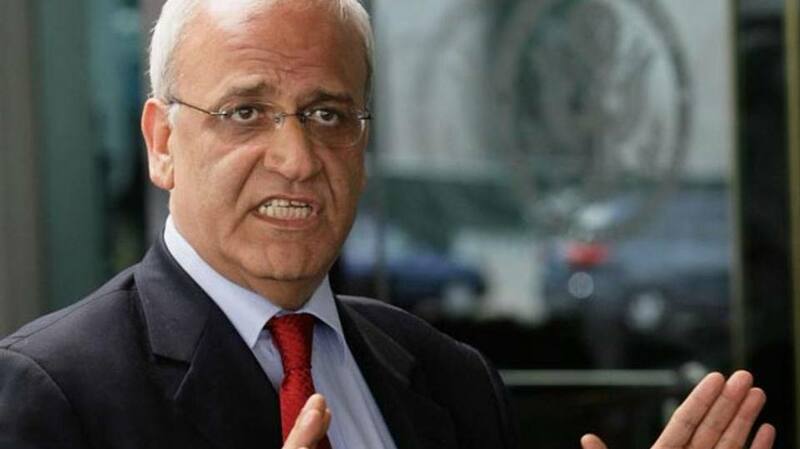 In an interview with AFP, Erekat said that the new Israeli government represents a coalition of extremists, and that it was based on the idea of fighting and eliminating the peace process. Erekat described the new Israeli government as a government of the war which threatens the stability of the entire region. A statement from Erekat's office pointed the irony of appointing Ayelet Shaked of the Jewish Home party, justice minister, while she was the one who called for the murder and genocide of the Palestinian people the past summer, including women and children. "With the dust beginning to settle on the new Israeli coalition government, the face of a new form of racist, discriminatory Israel has been revealed. Benjamin Netanyahu vehemently leading the charge to bury the two state solution and impose a perpetual Apartheid regime, Neftali Bennet a new minister boasting the murder of Palestinians, and the new Minister of Justice, Ayelet Shaked, openly calling on the genocide and ethnic cleansing of the Palestinian people." "Congratulations Israel, your new government has ensured that peace is not on their agenda. This new right-wing, extremist government is not a partner for peace when the leaders call for the annexation of Palestinian land, forcible transfer of the Palestinian population, and the genocide against our people. The time is well overdue for the International community to face the reality and hold Israel accountable for the crimes and violations made against our people," statement continued. Erekat called on the international community to safeguard the two-State solution by stop treating Israel as a state above the law. "Support Palestinian rights and diplomatic initiatives including the UN Security Council, to ensure the application of the Fourth Geneva Convention in the Occupied State of Palestine, to support our efforts in the International Criminal Court and to recognize the State of Palestine." Israeli prime minister, Binyamin Netanyahu, who won the election on MArch 17, finalized the formation of a right-wing coalition government, just 90 minutes before the midnight deadline yesterday. The coalition, consisting of Likud, United Torah Judaism, Shas, Kulanu and the Jewish Home parties, will be sworn in next week. The agreement itself will be signed in the coming days as several details are yet to be agreed upon. Statement from White House says administration anticipating consultations on range of issues, including Iran's nuclear aspirations and importance of two-state solution. The White House said Thursday that "President Obama congratulates Israeli people, Prime Minister Benjamin Netanyahu and new governing coalition on formation of Israel's new government." The official statement came the morning after Netanyahu made a late night deal with Bayit Yehudi's Naftali Bennett on Wednesday night in order to finalize his coalition. "President Obama looks forward to working with Prime Minister Benjamin Netanyahu and his new government," read the White House statement. The statement also emphasized the US's close "military, intelligence and security cooperation with Israel, which reflects the deep and abiding partnership between both countries." "We also look forward to continuing consultations on a range of regional issues, including international negotiations to prevent Iran from acquiring a nuclear weapon and the importance of pursuing a two-state solution," the statement read. Netanyahu and Obama have publicly disagreed about the Iran nuclear deal – a debate that at times led to uncomfortable tension between the US and Israel. 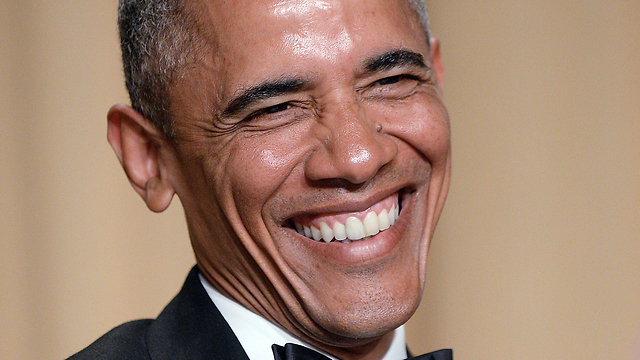 Most notable was Netanyahu's address to Congress just two weeks before the elections in Israel, during which Netanyahu slammed Obama's deal with Iran in a speech that was reportedly planned without Obama's knowledge. The Israeli occupation Prime Minister Benjamin Netanyahu afternoon Wednesday signed an agreement with the far-right Jewish Home party leader Naftali Bennett to clinch a 61-seat coalition government, minutes before a midnight deadline. The Likud Party agreed to hand the Ministry of Justice to Ayelet Shaked, from Bennett's party. But the frenzy of negotiations has not been sealed as to Shaked’s allotted powers. Despite claims on the success of the last-minute negotiations between the two parties, a Likud official slammed Bennett for the blackmail policy he has pursued, saying the moment shall come by soon to settle scores and get back at Bennett. Many analysts said the last-minute deal-making and the narrow government it produced pointed to problems in Israel’s fractured political system. Ironically, Shaked rose to notoriety last summer when she called for genocide against Palestinians calling a "just" solution. We do not bet on any Israeli government whatever was its components, Hamas movement said in a statement issued Thursday. Spokesman for the movement Fawzi Barhoum said that his group considers the newly formed Israeli government as the most racist and extremist government that has been ever witnessed in the region. Barhoum called on the international community and Arab and regional parties to work on isolating the Israeli government and not to recognize it. He also called for providing protection to Palestinian people and their legitimate rights. 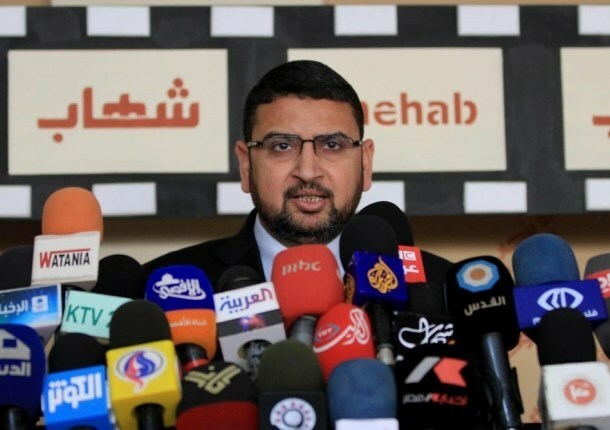 Hamas’ spokesperson stressed the need to re-establishing a Palestinian society based on partnership, unity, and resistance to help protection and defending the Palestinian people and their constants. 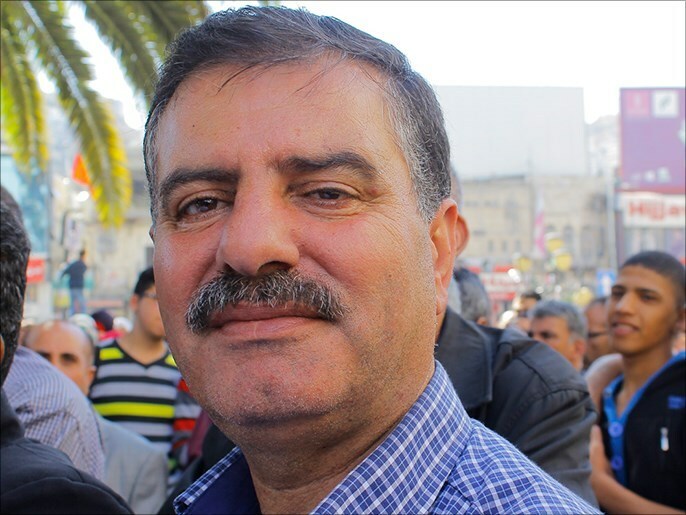 The senior leader in the Popular Front for the Palestinian Liberation (PFLP) Zaher Shishtri called for the implementation of the PLO Central Council’s decisions to stop security coordination with the occupation, halting political detention policy, and establishing a democratic society. Shishtri strongly condemned PA security forces spokesperson’s recent statements in which he claimed that Palestinian security services never arrest any Palestinian for his political affiliation. He stressed the urgent need to criminalize political arrest policy in West Bank and to immediately put an end to the continued arrests and summons over political affiliation. "Establishing a democratic society based on freedoms and away from political arrests would only guarantee a strong national unity that ends internal division and faces Israeli violations," he said. 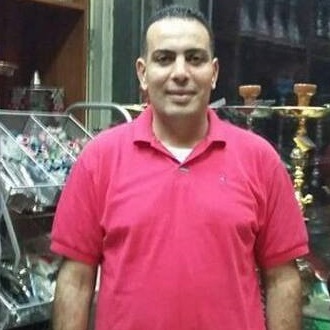 Meanwhile, the political detainee Islam Hamed, 30, continues his hunger strike for 27 days running protesting against his continued detention in PA jails despite a court’s decision that ordered his release two years ago. Dozens of West Bankers are currently held in PA jails for their affiliation to a political party or point of view. The Organization of Islamic Cooperation expressed hope that Germany will make more efforts to find solutions to the Palestinian-Israeli conflict, Turkish Deputy Foreign Minister Naci Koru said Wednesday. 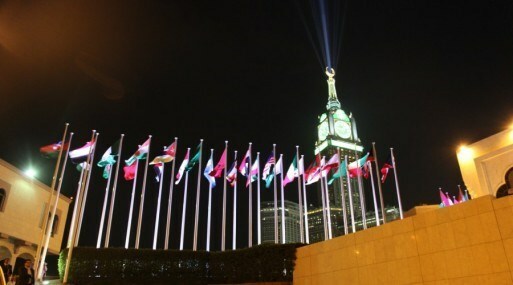 Speaking in a statement after a meeting with the German Foreign Minister Frank Walter Steinmeier, Koru said the visit, paid to Berlin by the OIC’s Ministerial Contact Group on Defending the Palestinian Cause and Jerusalem, briefed the German Foreign Minister on the latest socio-political developments in the region. The envoy, headed by the OIC Secretary General, Iyad Madani, further updated their hosts on the Palestinian-Israeli conflict, expressing hope that more efforts will be made by Germany to find practical ways-out. Koru quoted the German FM as reiterating Germany’s ongoing endeavors to work out the Palestinian cause and seek solutions to the conflict. Member of the PLO's central committee and international relations commissioner, Dr. Nabil Shaath, has announced that the Republic of Armenia will allow Palestinians to enter their land without a visa application. 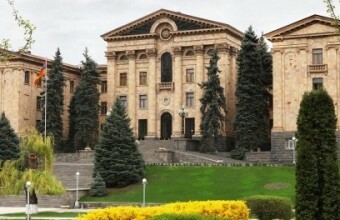 Shaath, on Tuesday, made a telephone call with the Armenian prime minister Hovik Abrahamyan, to look into political relationships and other issues, according to the PNN. In a previous visit to Armenia, Shaath has also met with the Armenian Prime Minister and the Dashnak party. During the visit, Armenian officials promised a Palestinian statehood recognition. Shaath said that there will be a new movement by Armenia to recognize Palestine, especially after it was one of the UN members who voted in favor of a Palestinian state, this past April. Shaath concluded by saying that Palestinian-Armenian relations had a historical depth, noting that the Armenians are part of the Palestinian people, especially in the city of Jerusalem with a number of Armenian personalities who played a role in the Palestinian struggle. Palestinians are now the largest refugee group in the world, according to UN statistics.